It feels good to be back in Oregon. Alaska is awesome, and there’s nothing else like it, but it doesn’t quite feel like home as Oregon does. River levels are recovering from the summer, we have just had a cold blast with some rain in the forecast. With it should bring our first good numbers of winter steelhead. After years of scouting, studying, and collecting an arsenal of gear I am able to officially guide folks out here. It feels good, I would liked to have been able to kick this off sooner, but with all good thing we need patience. Through the wait I have established a program that I can be proud of, and have confidence in. I have learned from some of the best guides, and am thankful for everything I have learned by watching and listening to other fishermen. It’s in between salmon and steelhead right now, trout fishing is decent on the Willamette and Mckenzie now, but ive been spending most of my time going over gear, and scouting rivers to be ready to hit it this season. And here’s the new ride. I tested a couple of boats, and talked to a couple of builders, in the spring. I came to the conclusion I wasn’t going to find what I wanted out there so I had one made for me. I trusted Koffler’s reputation for making a durable boat that rows well, and realized I could afford it. It helps they are right in Eugene too. She performs like a dream, and most importantly it’s set up the way I want it to be, purely a solid fishing platform that I can rely on. I have seats for three fisherman, with elbow room. 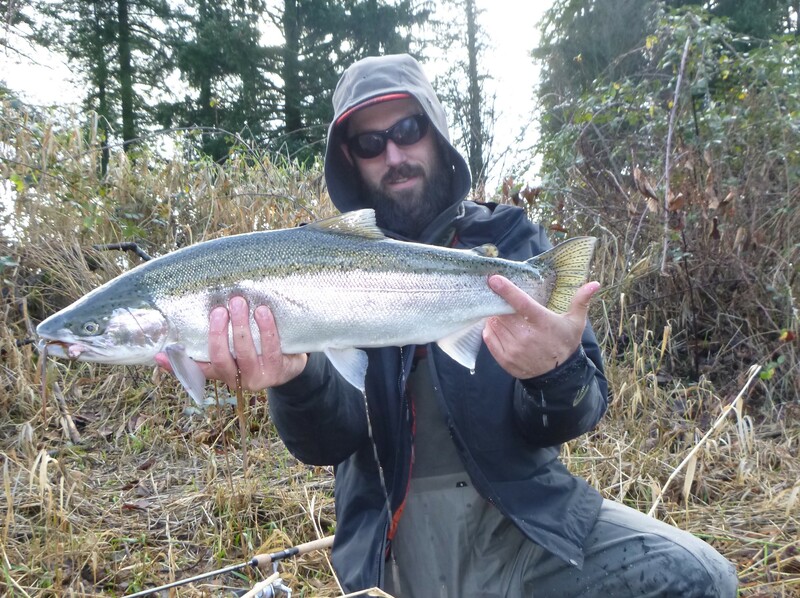 I am focusing on the Umpqua, Siuslaw, and Alsea for steelhead now. Call or email to reserve dates.